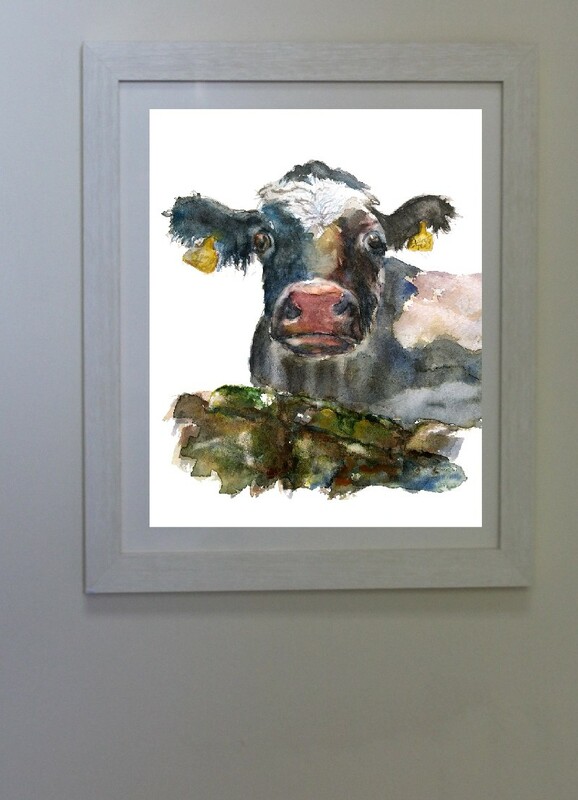 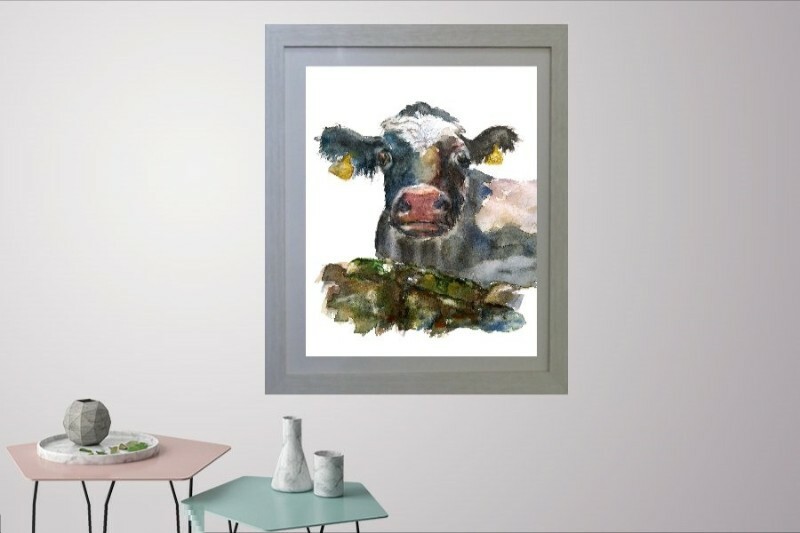 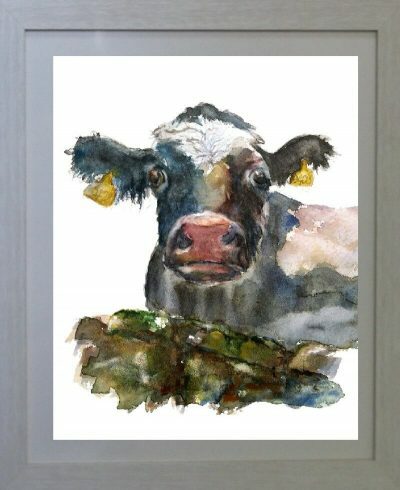 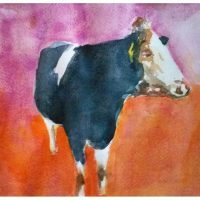 Watercolour painting of Cow, Friesians, Ireland. 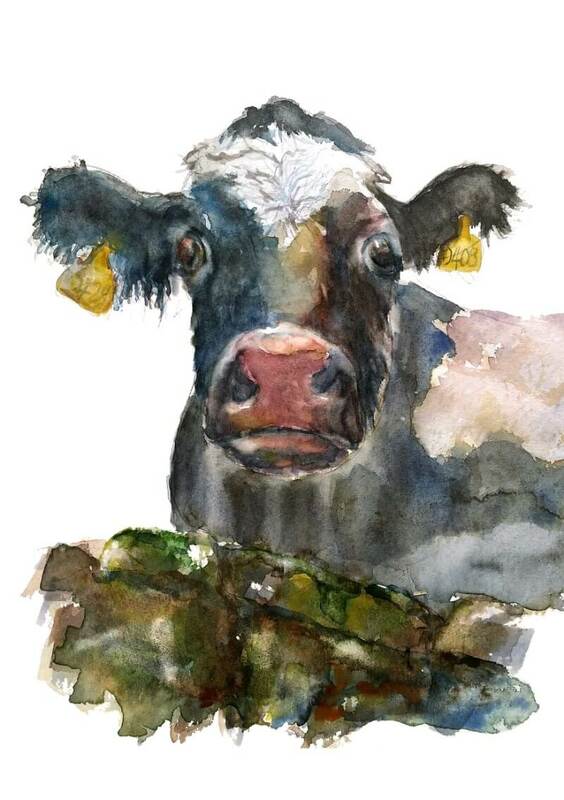 Beautiful healthy friesians are gentle and inquisitive cows. 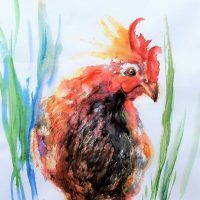 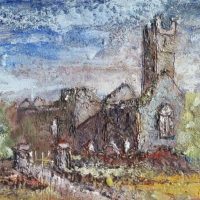 This painting was completed on location in County Clare.